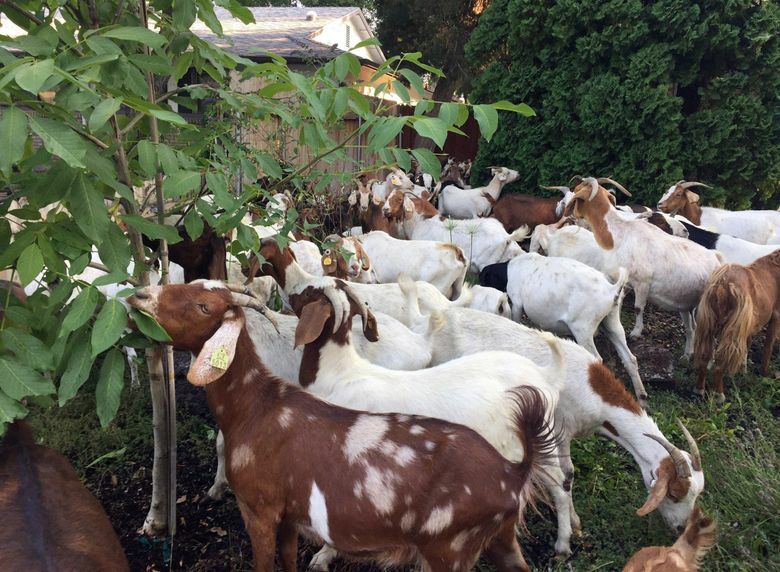 The goats had been hired out to clear away noxious weeds, but they busted a fence overnight and found they liked a nearby Boise neighborhood's lush shrubberies just fine. 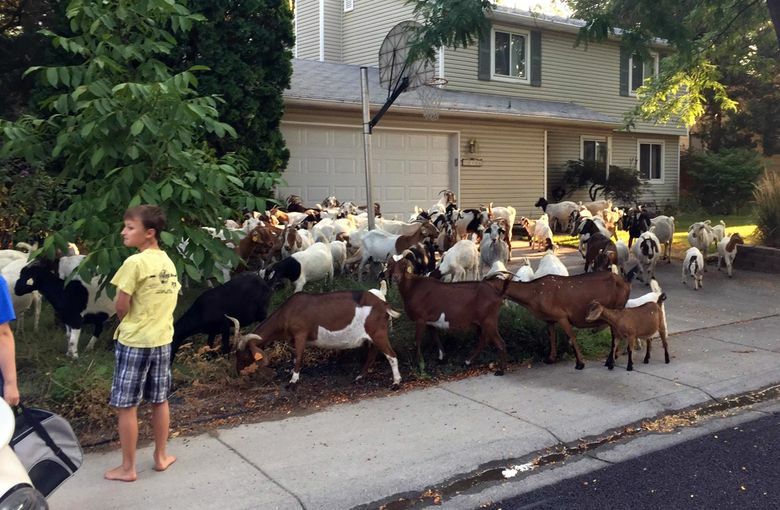 And so, with those disclaimers out of the way, we now bring you a news story about dozens of goats that briefly took over a neighborhood in Boise, Idaho – and Twitter along with it. 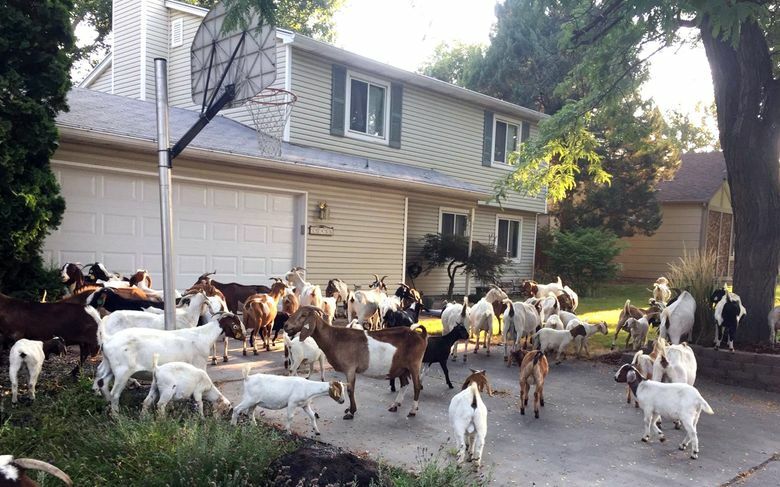 The goats turned up early Friday in a residential neighborhood on the city’s western side There were dozens of them — “at least 100,” according to the man who brought this news to the world via Twitter, KTVB reporter Joe Parris. Their provenance was initially unknown, though some sported ear tags that suggested they might be livestock on the lam. This goat crew had been working overnight in a nearby drainage area when, at some point before sunrise, it broke through a fence and began its adventure. By 8:30 a.m. MDT, KTVB reported, the animals had been corralled and herded onto a company truck.